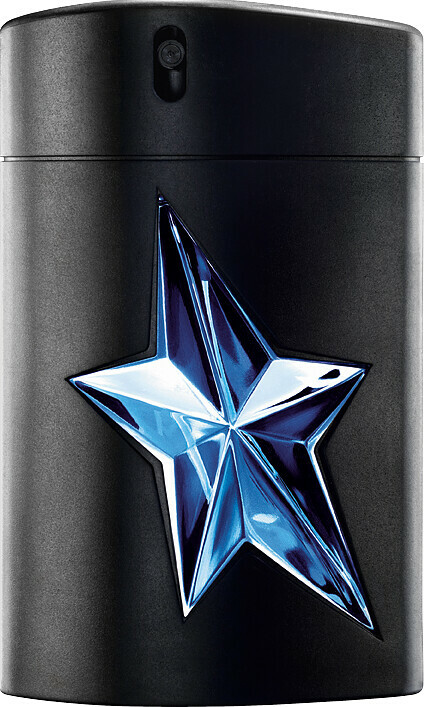 Experience the unquenchable audacity and charisma of a true champion with the Mugler A*Men Eau de Toilette in a rubber flask, a resilient way to carry your signature scent. A*Men is the symbol of conquest and the vanquisher's victory lap, a bold olfactory statement that spurs a quest for challenges. The final moment that translates into a will and a determination worthy of a hero driven by the desire to win.An almost edible scent comprised of peppermint, vanilla and chocolate that allows you to unleash your inner superhero. Top Notes: Peppermint, Lavender, Patchouli. Heart Notes: Coffee, Tonka, Vanilla. Base Notes: Caramel, Chocolate, Musk. 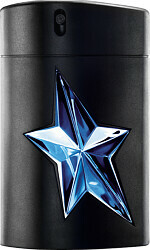 Thierry Mugler A*Men Eau de Toilette Rubber Flask Spray 50ml is rated 4.7 out of 5 by 7. Rated 3 out of 5 by ironman from Coffee And Caramel Overload! Very sweet and powerful fragrance. Excellent sillage and longevity with this one. A love or hate scent in my view. Well suited to colder weather. Rated 5 out of 5 by Paul99 from Revolutionary rockstar Wow; this is one mesmerising fragrance! Let's start with a slight negative; the opening of this contains a very powerful tar note that divides opinions like no other. Personally, I love it. Soon after an army of complex notes comes through including patchouli, lavender, sandalwood, coffee, caramel and vanilla with even a hint of florals in there too. This might sound too much but it's not; it's sweet but incredibly masculine. Longevity and projection are beast mode so go easy on the trigger. This has also spawned many flankers (some of which are equally incredible). This amazing fragrance deserves a place in every mans collection.